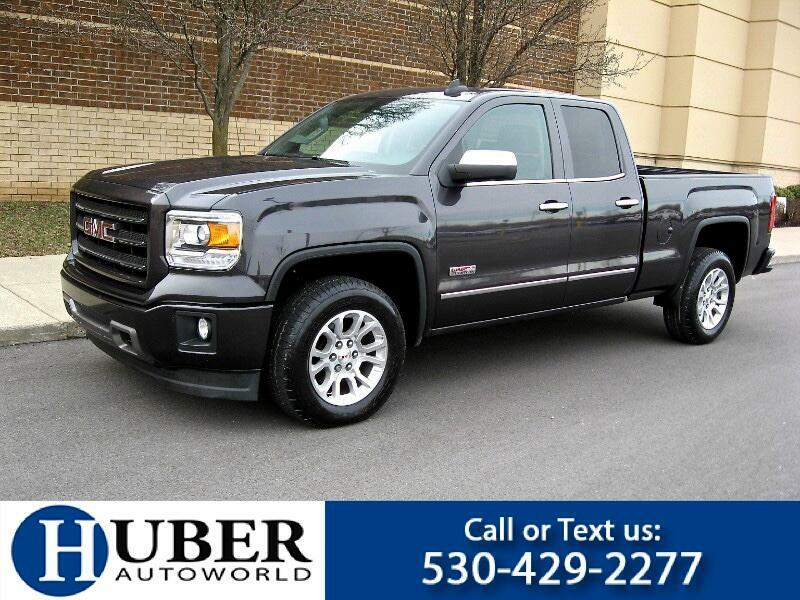 2015 GMC Sierra SLE Double Cab 4WD -- Only 40K miles! 1 owner GM lease turn in! Loaded! Iridium Metallic exterior with Jet Black interior, All Terrain Pkg, Matching Body Color bumpers, 5.3L V8, Automatic, 4WD, Factory Alloys, Fog Lamps, Turn Signal LED Mirrors, Rear Sensors, Back up Camera, Bluetooth, Heated Seats, Dual Automatic Climate Control, All power options, Tow Package. Just serviced and inspected! Exceptional Condition inside and out! AutoCheck Certified! Factory Powertrain Warranty thru 10-30-20 or 100,000 miles. 10 year / 125,000 mile extended warranty available! NADA $29650, our price $27544. COMPARE OUR VEHICLE QUALITY, MILES, AND PRICE! Specializing in quality 1 owner lease turn ins. Call or text 530-429-2277, check online at huberautoworld.com or visit Huber Autoworld 3088 Lexington Road, Nicholasville KY.